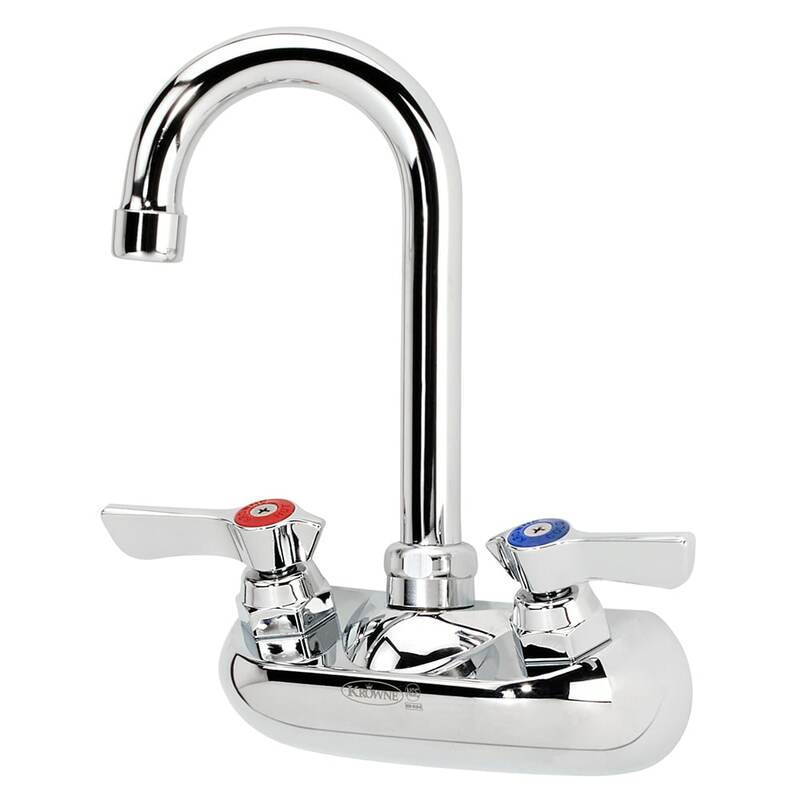 The Krowne 10-400L is a low-lead compliant gooseneck faucet. This model is wall-mounted, and includes a mounting kit to make installation simple. 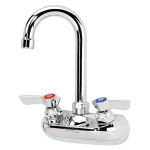 The spout's double O-ring and welded-shoulder construction makes it durable, and its nickel chromium finish is polished to a high shine for an attractive finish.